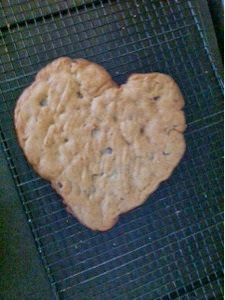 Valentine cookie from my boys. 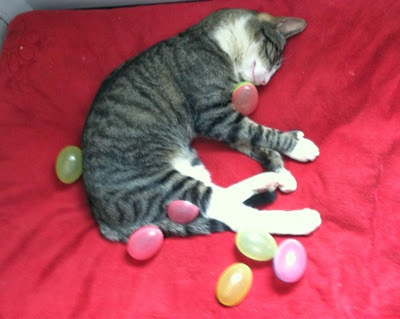 Really, truly, cat was sleeping and the bowl of glow-the-dark eggs tipped over. Not staged at all. Well, except that one egg under Tiger's chin. Luke said it was begging to be there because then Tiger would look extra adorable. He was right. 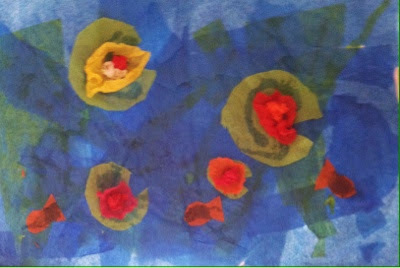 Levi's art project. Most beautiful thing ever. 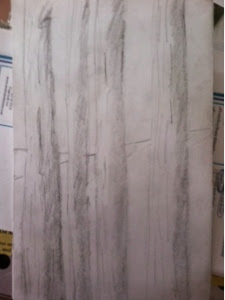 Luke's pencil drawing of trees. Love the shading. Love the hill in the background. This reminds me of an Ansel Adams prints of aspens. In the meantime, my SAD (seasonal affect disorder) is just beating me up. I am tired of being cold. Seriously, I've get ski socks on and a blanket over me and my feet are still cold. We went to celebrate grandma's birthday this weekend at it was a blessed 56* and it felt so amazing. Now it is back to the 30s. I just want to sleep until it is 80*. 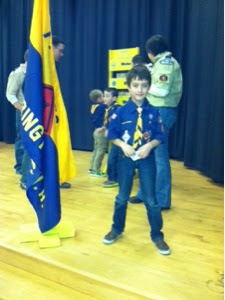 Alane, I always enjoy reading your blog. It makes me smile when you share your family stories. Spring is on the way. Hang in there!